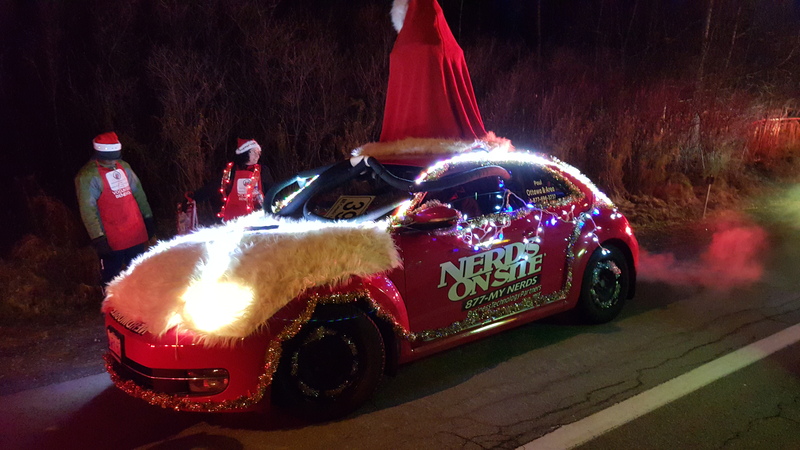 On Saturday Ottawa Nerds On Site were participating in 2 Santa Claus parades. In the west our new nerd Mark Cassanto was in the Arnprior parade. He was joined by his wife and kids who handed out candy canes, as well as some boxes of Nerds, to the kids who were lining the route. (Wes has a scheduling conflict). 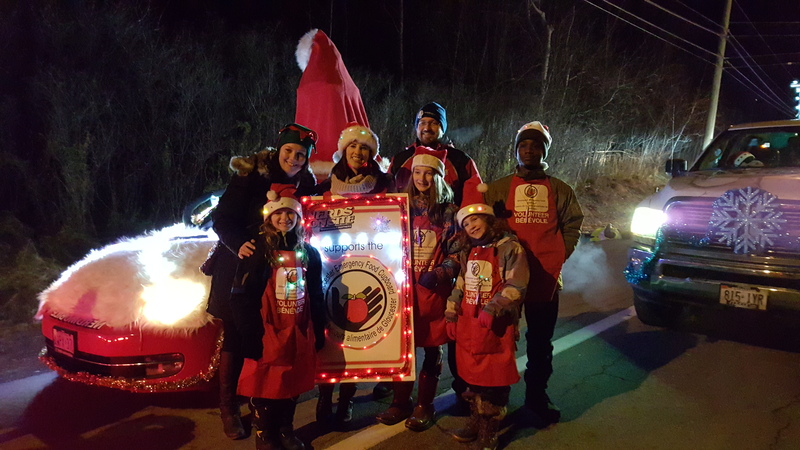 In the east end, Tony and I were entered into the Orleans Parade of Lights. We always enter this parade in partnership with the Gloucester Emergency Food Cupboard. 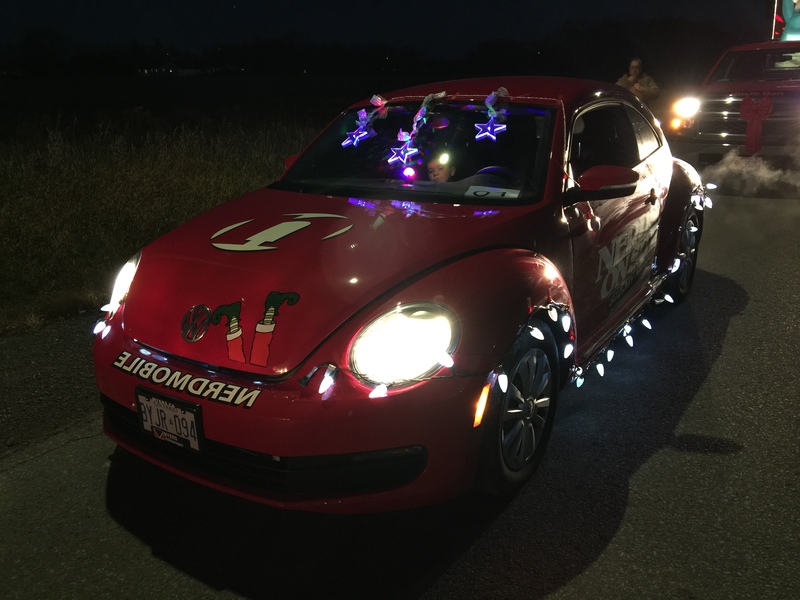 While I drove the car Tony along with the GEFC volunteers handed out candy canes to all the kids lining the route. 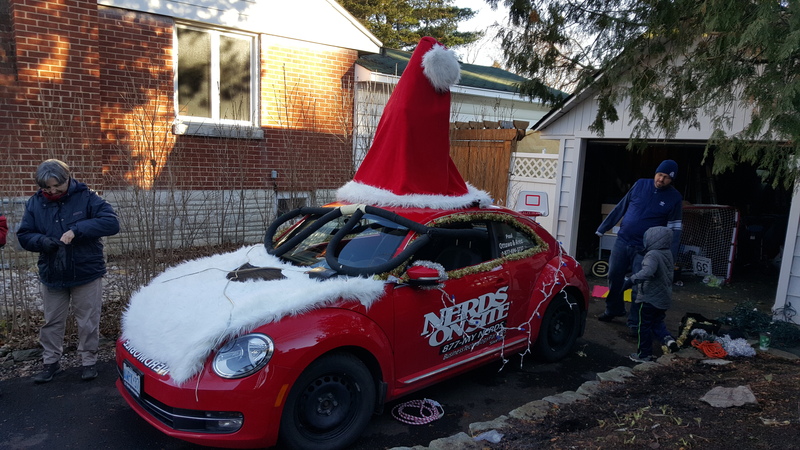 Thanks also to John Brule, his wife Anne and my son Allistair for helping with the decorating of the Nerdmobile.